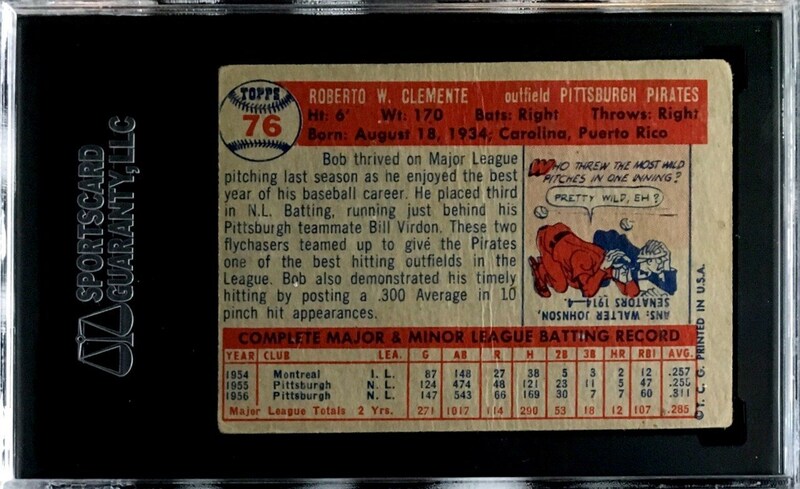 Up for your consideration is a 1957 Topps #76 Roberto Clemente card. 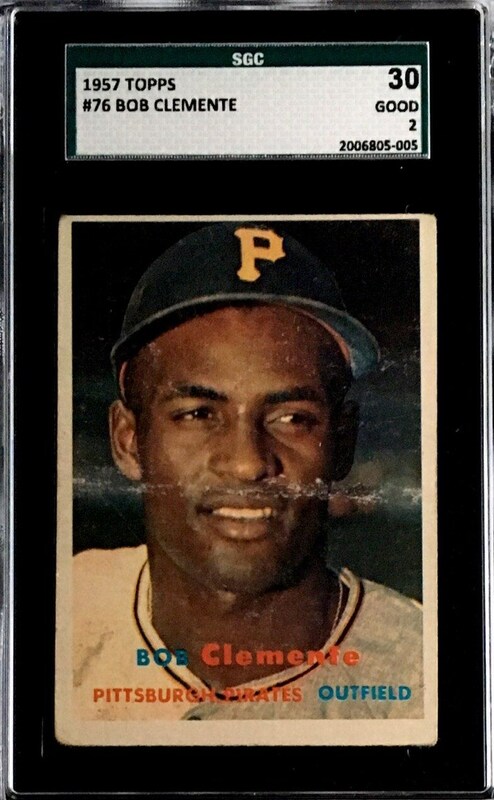 Clemente starred for the Pirates and played in 2 World Series Championships. The card has been graded an SGC 30.